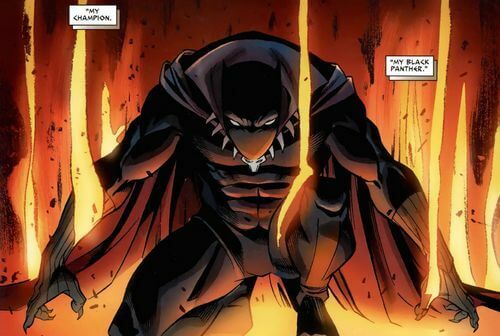 Home » Films » Who Is The Black Panther and Why Does He Matter? Most of us must have known Marvel. They are among the most influential in the entertainment industry including movies. There is no surprise if someone who has not read a single Marvel Comics Book yet knows about Iron Man, Captain America, or Spider-Man. But Black Panther? That would be a new surprise. If you are familiar with Marvel Universe, you would know Black Panther – a famous superhero with interesting background story. And as his film is coming soon on February 16, it is time to learn more about this “new superhero” and see why he matters! 1. Who is Black Panther? 2. Why Does He Matter? For those who don’t know, Black Panther is actually the very first black superhero back in the early days of Marvel during the 50s. His made his first appearance in Fantastic Four #52 in April 1966 and was not until 1973 that he got his own comic series. At first, Jack Kirby and Stan Lee gave him quite different design compared to what he is nowadays. 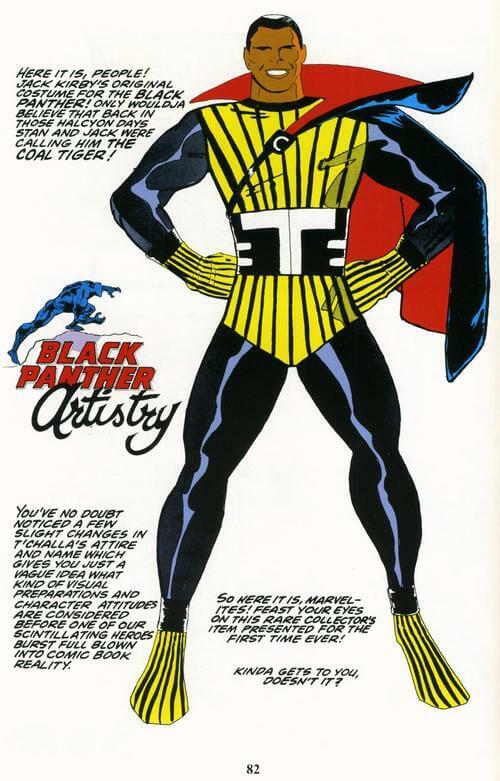 Originally, Jack intended to give the character the name Coal Tiger and his costume was way more colorful with black cape and yellow armor with black stripes (like tiger?). As you may guess, Black Panther is not his real name. 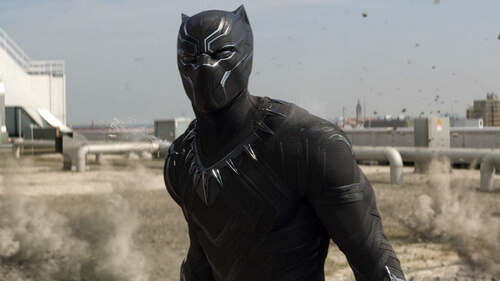 The character’s real name is T’Challa who was born from a royal family of Wakanda – a fictional country located in Africa. His father T’Chaka was the king who belonged to the Panther Clan and possessed the power of Black Panther. This means T’Challa has the right to inherit the title of king and more importantly, the Black Panther. According to the comics, before inheriting the throne, T’Challa studied in Europe and America and even got Ph.D. in Physics from Oxford University. After his father’s passing, he carried on his clan’s duty to become the leader of Wakanda. He followed the sacred ritual and found the Heart-Shaped Herb, thus succeeding the mantle of Black Panther. In later stories, T’Challa lost the mantle of king and passed the Black Panther title to his sister Shuri. However, that does not mean the end of T’Challa’s story. During the King of the Dead arc, Wakanda was attacked by the undead army coming from the Necropolis which lied below the country. As the results, T’Challa ventured to this city of the dead and eventually met the Panther God Bastet who supposedly the one bestowing Black Panther power to worthy successors. 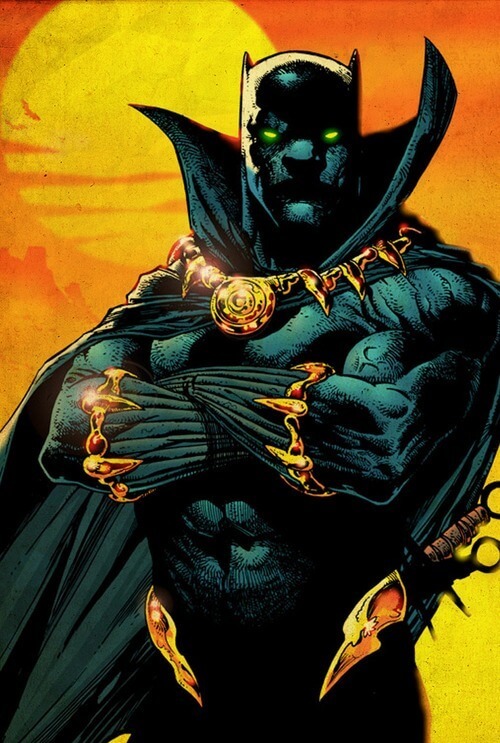 To defeat the god Anubis who was responsible for the undead army, T’Challa was deemed as the “King of the Dead” by Bastet and he became “a king of kings. Bast’s champion. Bast’s Black Panther“. Currently, T’Challa – Black Panther is still alive and well. But instead of being the ruler of Wakanda, he is now only its representative why the country is trying to build the democratic government. In Marvel Cinematic Universe (MCU), T’Challa’s origin remains pretty much the same like his comic counterpart. He is still son of T’Chaka – former king of Wakanda and also Black Panther. After his father’s death due to the bombing at Vienna International Centre, T’Challa became the next ruler of Wakanda. He had a deep hatred towards Winter Soldier – Bucky Barnes since he believed Bucky was the one behind the bombing. After the Avengers Civil War, T’Challa found out that it was Helmut Zemo who was responsible for his father death. Eventually, he decided to help Bucky to find asylum in his own country, knowing fully well that opposing forces will declare war on Wakanda if they find out. 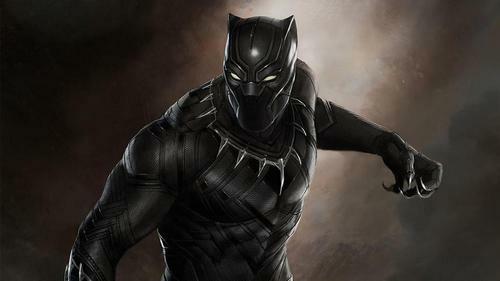 In the upcoming Black Panther movie, it seems the film will take place after Captain America Civil War. T’Challa will return to his homeland Wakanda and succeed the throne as the rightful king. But of course, things won’t go smoothly. And based on the trailer, it seems we will get to see good fighting in this movie. By saying Black Panther’s power, we will only focus on T’Challa Black Panther only. The reason is Black Panther is not T’Challa’s title alone. Before him, there are many other people who held the mantle of king, including his father T’Chaka. As T’Challa himself, he already possessed nearly peak-human physical capability including strength, speed, agility, stamina, and reflexes. Aside from that, he is also a genius with extraordinary memory. That fact that he is fluent in many languages and he got Ph.D. in Physics from Oxford University should already tell us how intelligent this guy is. His genius-level of intellect allows him to plan ahead of his twice and 3 times ahead of his friends including Tony Stark. He is a wise strategist and also an outstanding inventor. He even created a new scientific field called as Shadow Physics, which is the combination between alchemy and science. In short, we can compare him to Batman from DC Universe: a mortal who reaches peak-human ability with superior mind. Aside from that, T’Challa gains significant advantages in all aspects since he is the king of Wakanda. Unlike what we may think about an African country, Wakanda in Marvel Universe is actually the most advanced country in the world in both terms of technology and magic. So as you may guess, T’Challa has a huge, huge arsenal in his disposal and he will gladly use everything he has to bring down the enemy. Besides his own human ability, T’Challa’s main power is the Black Panther which bestowed through generations by the goddess of Bastet. Successor of Black Panther gains superhuman abilities including superhuman strength, speed, agility, stamina, reflexes, and sense. In T’Challa’s case, he can also tap into the knowledge and power of all previous Black Panthers. 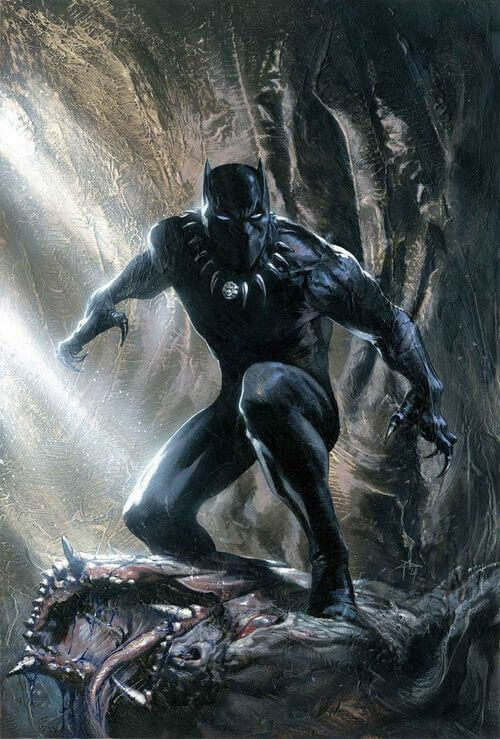 In addition, it is unsure whether he can do it now but back to King of the Dead arc, T’Challa can command the undead army and spirits from the Necropolis to aid him in combat. Black Panther is no doubt a cool and extremely popular superhero in Marvel Universe. 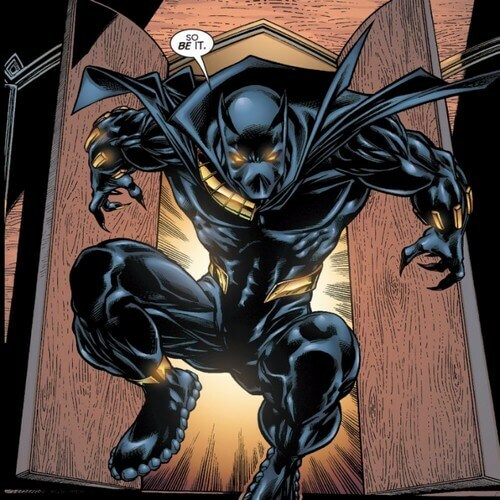 But putting his power and badass design aside, Black Panther actually matters more than what we may think. Back to the days, let’s remind us all that most of heroic figures are white superheroes. Back to the days when racial discrimination was still an extremely hot issue, we can’t deny that the popular culture was majorly influenced by white people. We mostly knew white heroes like Iron Man, Captain America, or Spider-Man. And when a black hero came out like Black Panther, it was a huge deal as Marvel starting to be more appeal to black people and people from other originalities. Heroes like Black Panther actually have huge influence in shaping the pop-culture and society’s perspective more than we thought. There were tons of times when we saw black people were portrayed in helpless position during crisis. However, now we no longer see black people as “helpless civilians” to help anymore. We now see them are honorable and brave individuals who can actually save the world like the African hero Black Panther. And since the Black Panther trailer has already got millions of views, we can expect this film is going to be an extremely huge blast at release. Of course, Black Panther is not the only movie featuring black heroes. There were quite a number of films wishing to portray black heroes properly; however, not many films were actually success in this. But in Black Panther’s case, somehow it feels entirely different. In Black Panther’s case, he was not originally a sidekick; he also did not come from a difficult originality. Black Panther gives us an entire different story and depiction to imagine: a superhero who is not funny material, a respectful and powerful king comes from a royal lineage. And high chance the upcoming Black Panther movie will bring an entirely new revolution about how black heroes will be portrayed in the future. And that’s it folks! And how about you? What do you think about Black Panther movie? Feel free to share with us and for now, thank you and stay tune for more news in the future! 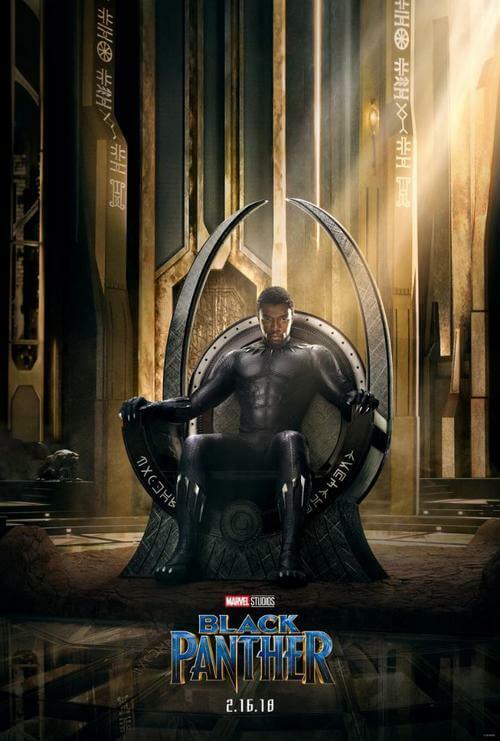 Pingback: Black Panther Review: All Hail The King Of Wakanda!